Living room: With electric fire and Sky Smart TV (basic package) with Netflix. Bedroom 2: With kingsize bed and sloping ceiling. 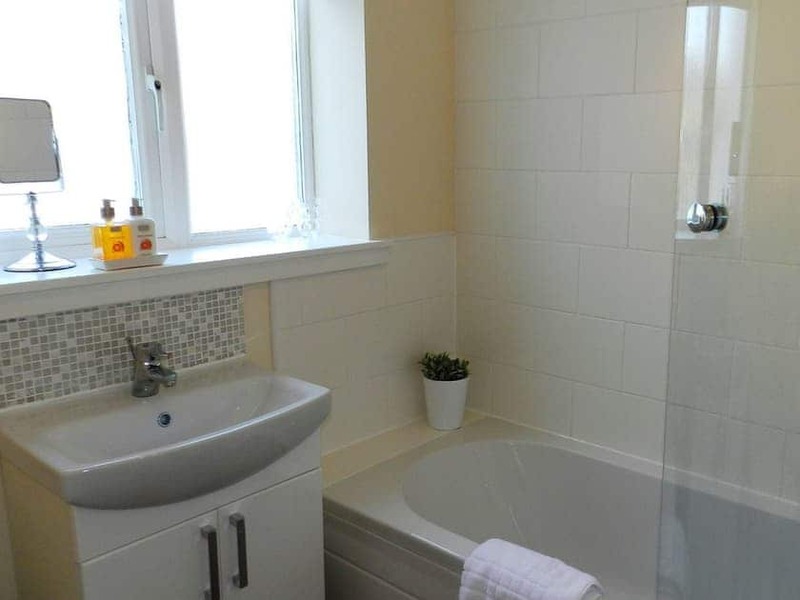 Bathroom: With shower over P-shaped bath, toilet and heated towel rail. Electric storage heaters, electric heaters, electricity, bed linen, towels and Wi-Fi included. Travel cot, highchair and stairgate. Enclosed front patio with garden furniture. On road parking. No smoking. 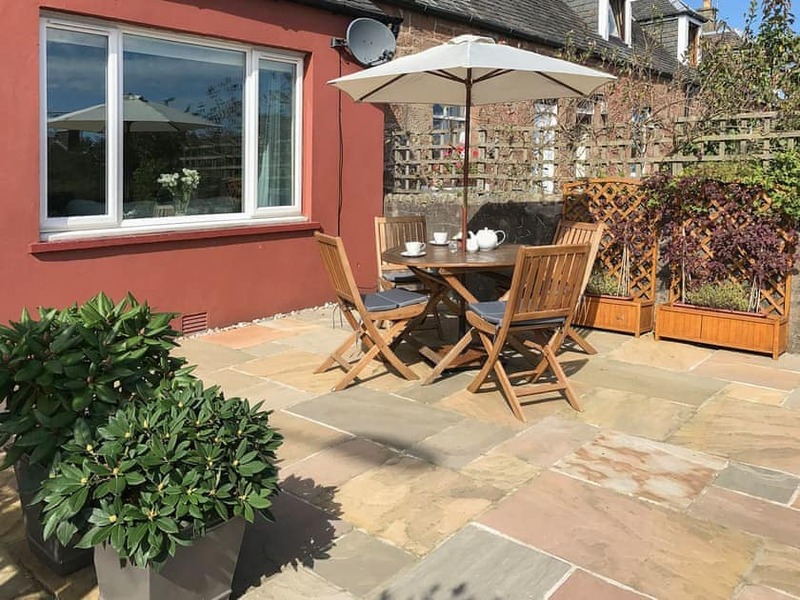 Larkfield is a traditional red sandstone cottage which has been decorated to a high standard to provide a stylish and contemporary holiday home. The cottage is part of a row of houses that date back to around 1905 and were built by the Duke of Montrose to house his estate workers. The living and dining room have been styled with a subtle tartan theme throughout giving the feeling of being in a Scottish cottage. Comfy sofas complement the theme and a feature fireplace adds to the ambience of the room. 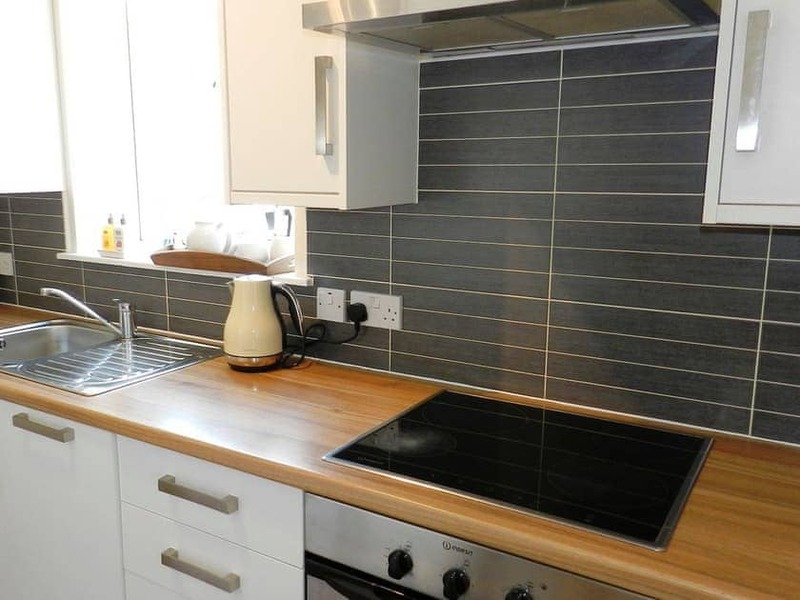 The contemporary kitchen is well equipped and has everything you would need for your holiday. Each bedroom has been individually decorated and has quality bedding making them very inviting after a days activities around the island. Bedroom 1 is located at the rear of the property and looks out towards hills and forests. 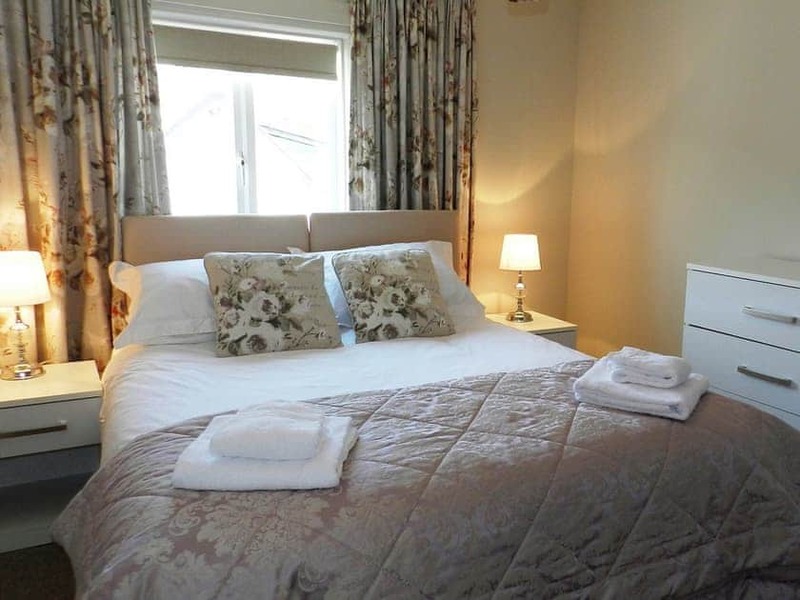 Bedroom 2, situated at the front of the property is large and bright and has views out towards Holy Isle. There is a wardrobe and chest of drawers and a dressing table. 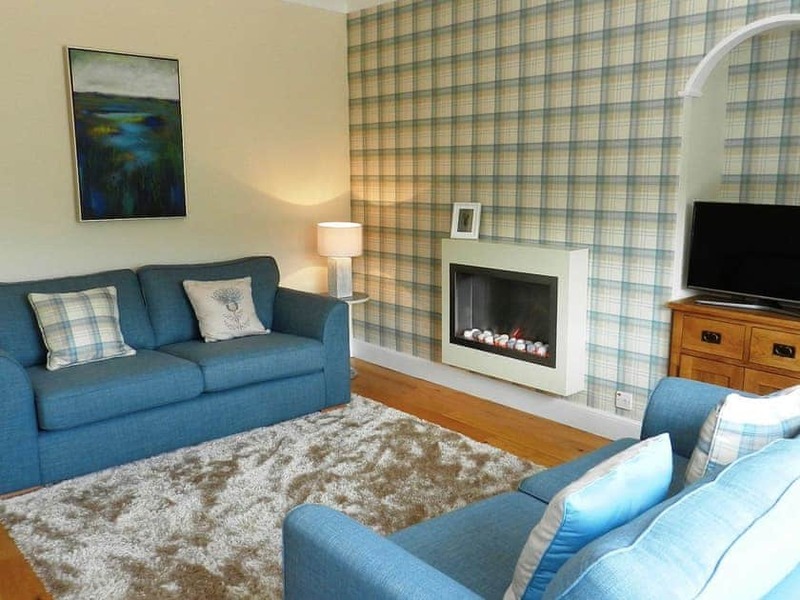 Care has been taken in creating this home into a stylish retreat and offers guests fresh and bright accommodation with added comforts such as complimentary Arran Aromatics toiletries and Netflix on the Sky Smart TV. At the front of the cottage is a walled patio which is south facing and enjoys the sun through the day. The patio is fully enclosed with a gate and has a table and four chairs where guests can relax in the sun or dine alfresco. 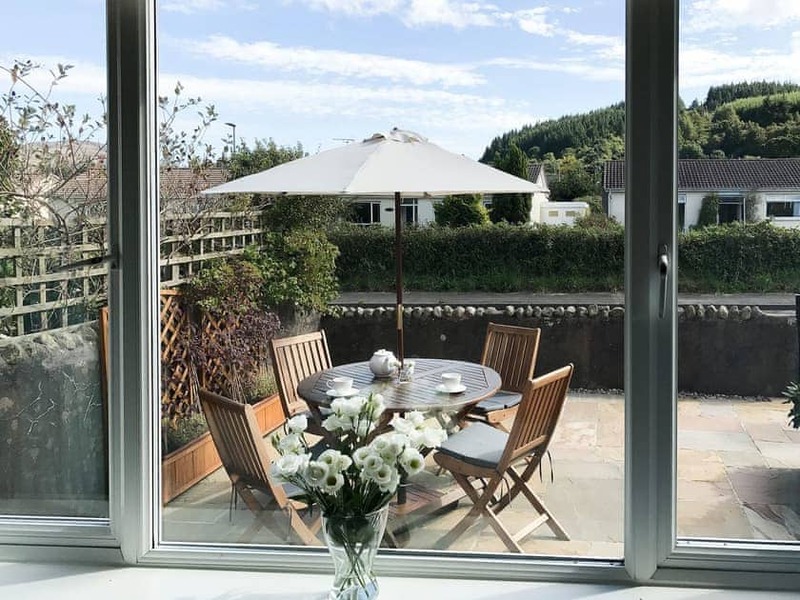 Lamlash village centre is within easy walking distance and boasts a number of bars, restaurants, a coffee shop, supermarket, newsagents, pharmacy, golf club, children’s play park, beach, tennis courts and picturesque pier. Would highly recommend Larkfield for a lovely stay on Arran. 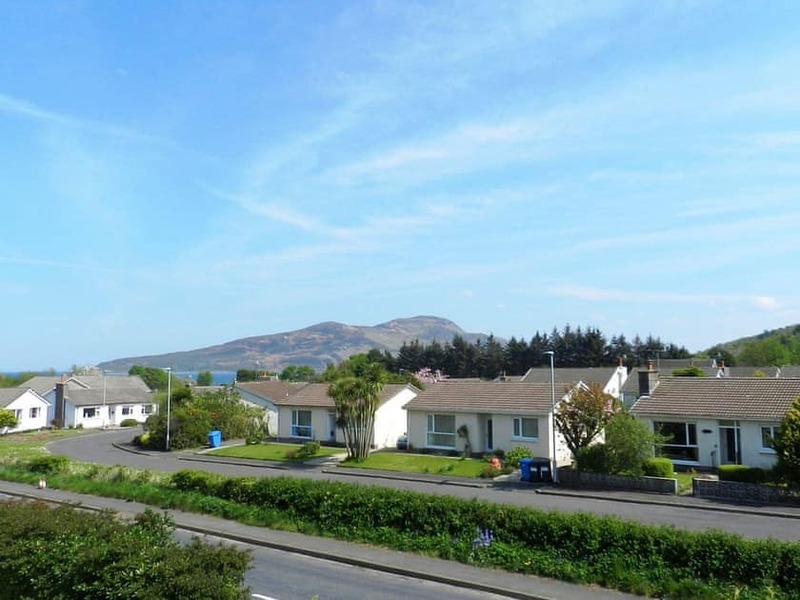 Ideally situated in lamlash, close to all the local amenities, shops, bars, restaurants and seashore. 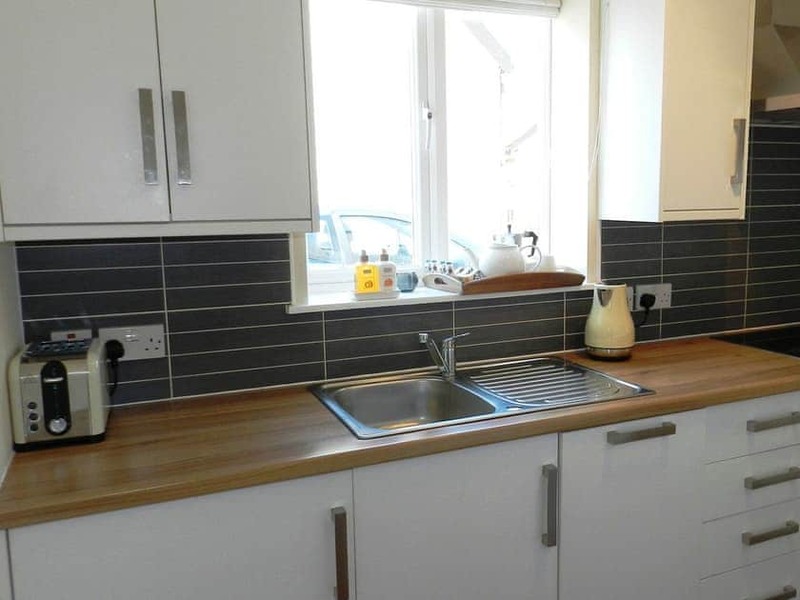 Larkfield has been beautifully renovated and has been decorated to a high standard. The living room is spacious, warm and inviting, with comfy sofas, a fireplace and gorgeously soft rug. It has an ample kitchen which has been fully equipped with everything you could need. Loved the quirky egg cups and little coffee maker which made breakfast perfect! The cosy dining room is a lovely space to eat too. 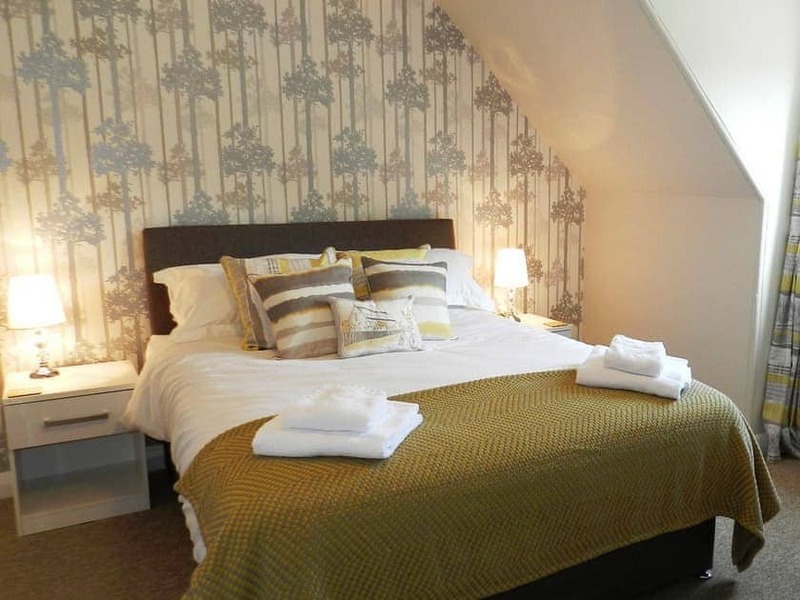 The bedrooms offer very comfortable beds, big fluffy pillows and cosy duvets and beautiful soft furnishings. The bathroom is stocked with Arran Aromatics products which is always a nice touch. Finally, the little patio at the front is the perfect place to enjoy a glass of wine and watch the sun go down. Loved this place so much we have booked again and can’t wait to return! Thank you! Would highly recommend the cottage to anyone. The place is gorgeous throughout and done to a high standard. Very spacious, warm and welcoming. We stayed for 4 nights and had a superb time. The location is superb and Lamlash is a lovely little town. 10/10. 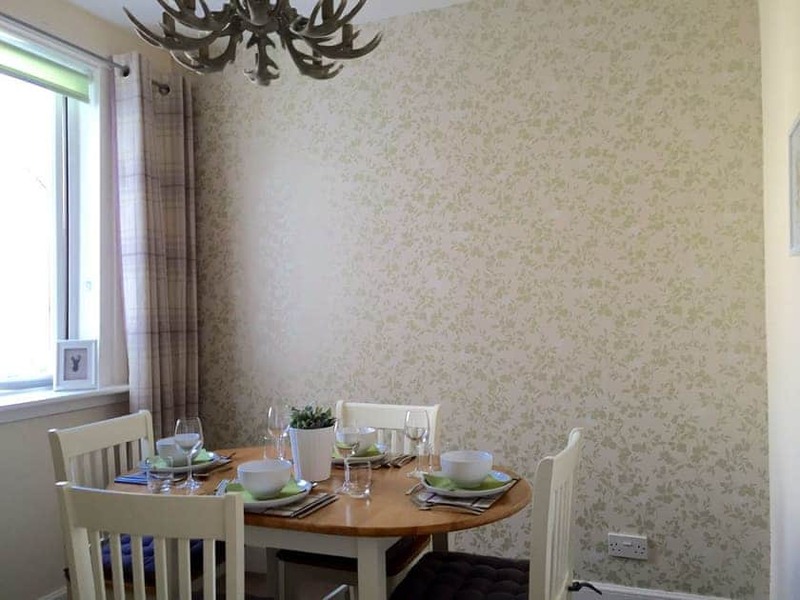 Larkfield is a lovely, well presented, well equipped holiday cottage. We were most impressed with standard of decor and cleanliness. 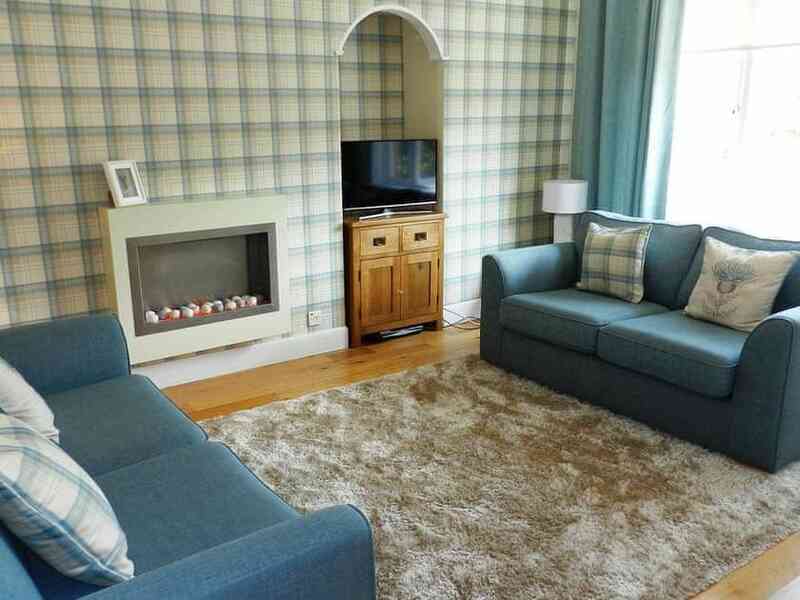 The Cottage is ideal for a family of 4. Good location for Lamlash amenities. Would recommend. Had a lovely weekend at Larkfield, great décor spacious and so well equipped. Lamlash is a beautiful town and so easy to get to. Cant recommend highly enough! We had a wonderful week on Arran, and would recommend the lovely cottage. 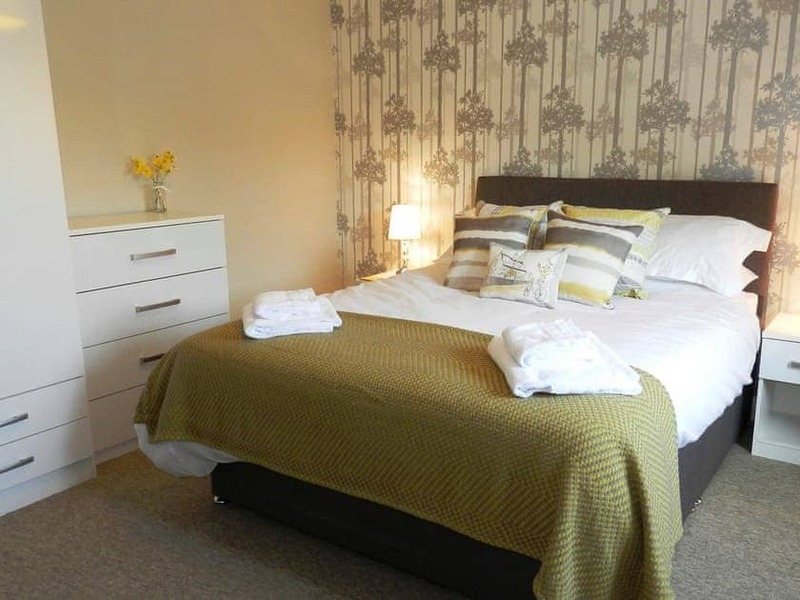 Very modern and warm, with all the facilities you need, and in a great location for the shops and pubs/hotels. Great food and friendly atmosphere. Take the RIB ride, and book a Nature Walk to see things and places unknown to those of us new to Arran. A home from home! First class self catering accommodation. 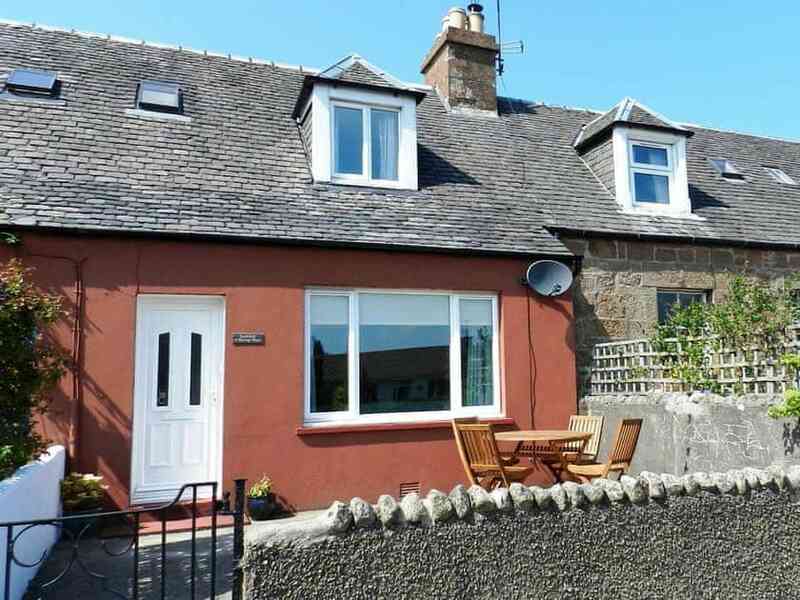 Having visited Auchrannie self catering lodges several times, this cottage boasts similar spec without the price tag. A fantastic base for a stay on Arran! We will be back however want the same weather guaranteed! Enjoyed a lovely week on Arran and as the sun shone every day it was great to be able to take full advantage of the patio which was a sun trap for breakfast, and still pleasant into the evening. Spacious, well equipped and comfortable cottage with good Wi-Fi. Only 10 minutes walk to the facilities of Lamlash, and also close to a bus stop making it easy to travel around the island without the car. Particularly useful when visiting the brewery, distillery, and for dinner in Brodick and Whiting Bay.